The 1.25" (32mm) and 2.25" (58mm) keepers hold the interior and exterior belt tips in place. 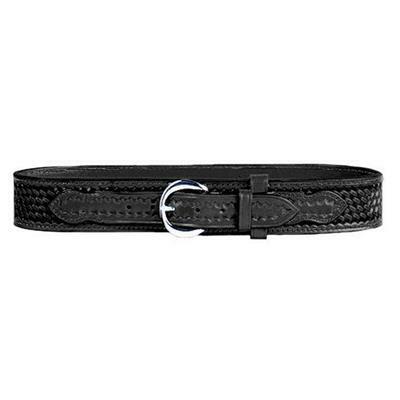 Standard buckle fastens the belt firmly around the waist. SafariLaminate Construction.